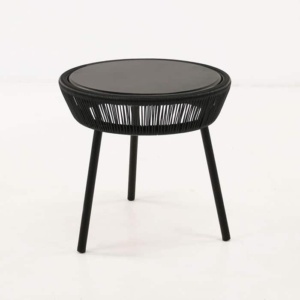 Define your space with the Poppi Tall Side Table in delicious black wicker. Our Poppi Tall Wicker Side Table is a stunning example of traditional outdoor furniture with a point of difference and amazing materials that make this table stand out from the rest, while bringing it into the 21st Century with style and panache! The Poppi Wicker Tall Table features a round, flat tabletop which then curves in under itself into an elegant base that gives it a lovely seamless look, but also makes it easy to move and slot into any style of space! The Poppi Tall Side is part of the Poppi Collection of Wicker Tables, which as well as coming in two great colours – Black and White – is also available in a shorter Low version as well as a Coffee Table. Great options in order for you to curate a flow in your outdoor area. Perhaps you’ve set up one of our Moni Teak Relaxing Chairs in the garden, a quiet nook just for you to enjoy a cool drink in the shade. Place your Poppi Tall Table to one side of this elegant chair and celebrate the finished off setting that has been made, just for you. 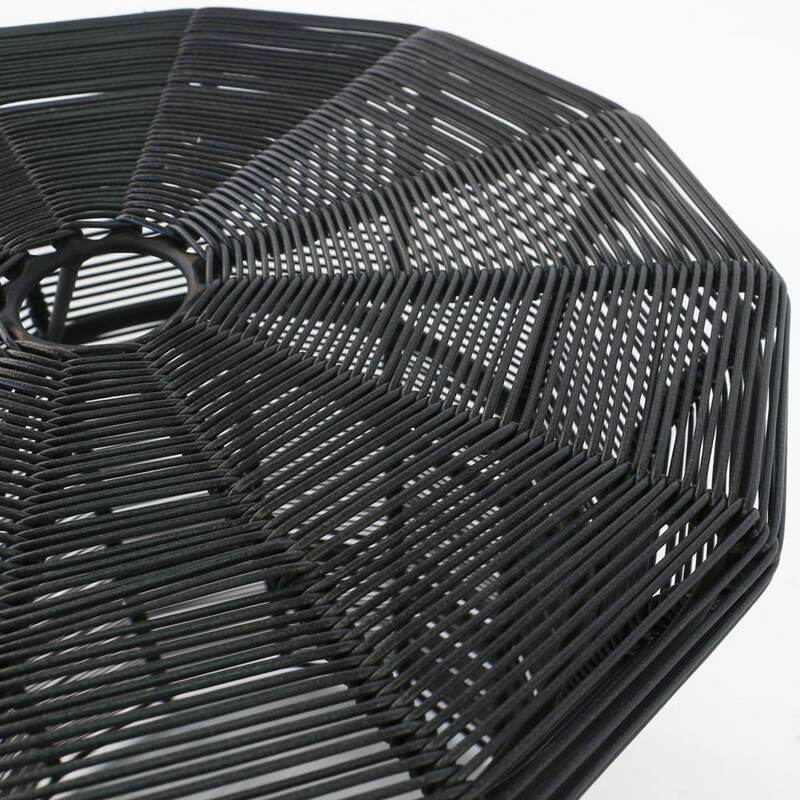 The Poppi Wicker Collection is made from the strong and robust framework of powder coated aluminium, this is a material that keeps it’s shape and doesn’t suffer the effects of life outdoors. 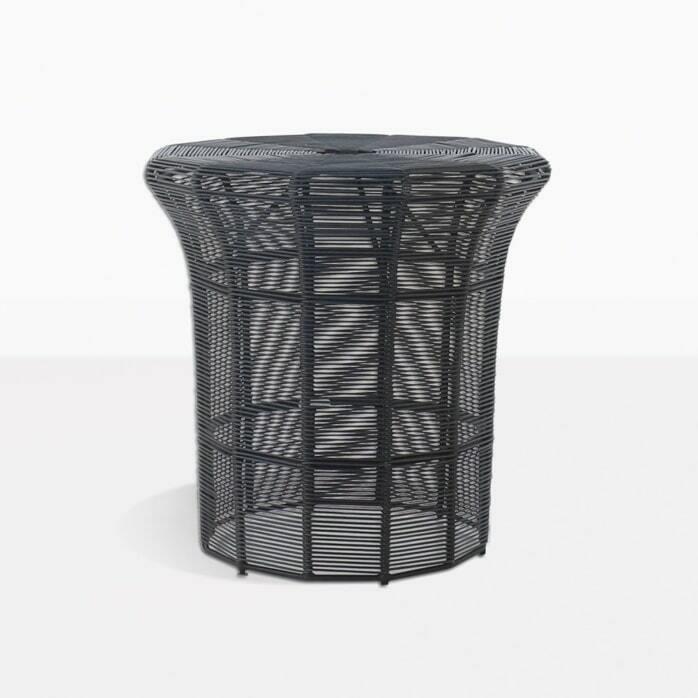 Wrapped ever so elegantly around this frame is outdoor wicker, UV treated Lava coloured wicker, meaning your table is quality of the highest order, and will stand the test of time in the great outdoors. 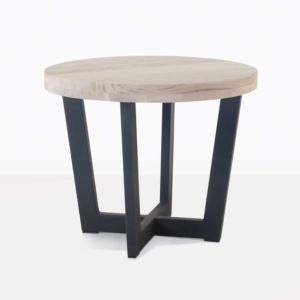 Design Warehouse is proud to carry the Poppi Tall Side Table among many other extraordinary pieces of outdoor furniture, come and visit our showroom or peruse our website to uncover an amazing range of deep seating, dining, relaxing chairs, accessories and umbrellas for use in your exterior space.